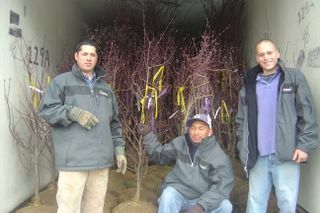 The crew just starting to unload the trailer load of nursery stock from Oregon. All smiles at the beginning and still smiling when they were finished. Great Job, Guys.